Earlier this week, Spotify and its loyal users suffered a painful blow when Taylor Swift, pop (not country) singer and Global Welcome Ambassador for New York City, pulled her entire catalog from the streaming service. At the time, her single "Shake It Off" was its most played song. "Music is changing so quickly, and the landscape of the music industry itself is changing so quickly, that everything new, like Spotify, all feels to me a bit like a grand experiment," she said. "And I'm not willing to contribute my life's work to an experiment that I don't feel fairly compensates the writers, producers, artists, and creators of this music." She added, "Also, a lot of people were suggesting to me that I try putting new music on Spotify with 'Shake It Off,' and so I was open-minded about it. I thought, 'I will try this; I'll see how it feels.' It didn't feel right to me." "1989" is only available by purchase; no streaming service has it and any video containing the album in full on YouTube has been pulled. Essentially, the only way to hear it is to buy it. The strategy is certainly working; as Swift sold 1.28 million copies of "1989" in its first week, the making it the highest sales week for an album since Eminem's "The Eminem Show" in 2002. According to The Guardian, 22 percent of all albums sold in the United States between between Oct. 27 and Nov. 2 were copies of "1989." Swift initially used the same no-Spotify tactic with 2012's "Red", adding the album to the site eight months after it was released. 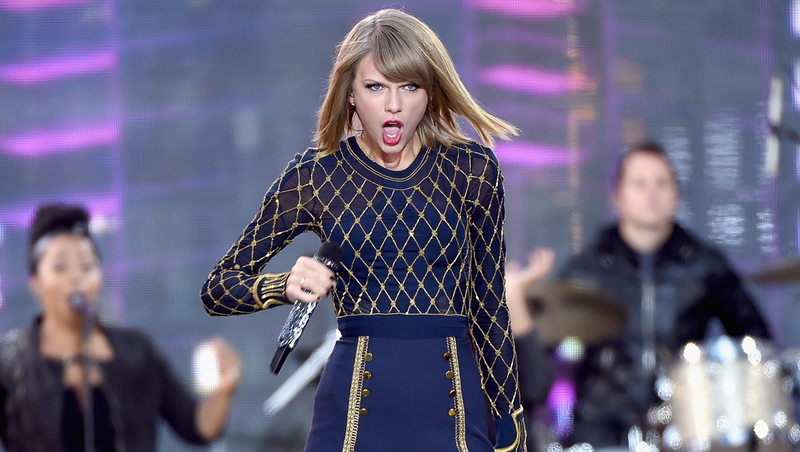 "1989" is not America's bestselling album of 2014, however. The crown still belongs to the "Frozen" soundtrack, which has sold 3.2 million units since January.